Escape the heat wave and dive under the sea with our fanciful new themed set – the Nerissa Seashell Bed and Bath, exclusively at Collabor88 July! 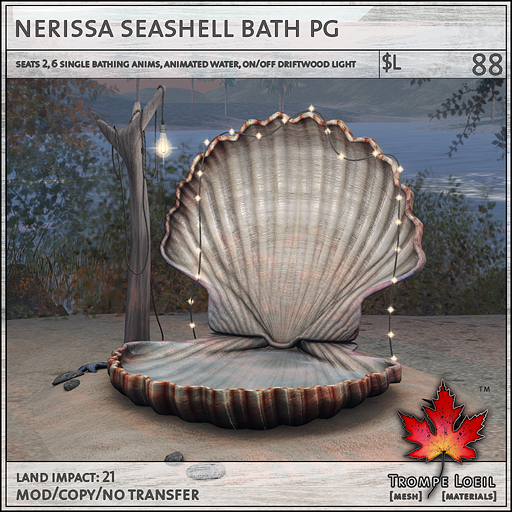 This person-sized open scallop shell sits nestled in a sand dune with stones and starfish, an accent of stringlights, and an adorable built-in driftwood lamp that turns on and off on touch. 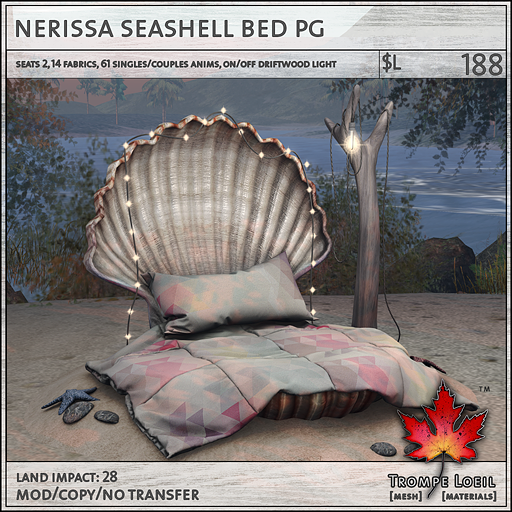 The Nerissa Seashell Bed comes in PG or Adult maturities, and includes 14 themed patterns for the blanket and pillow. What a conversation piece! And for July’s round, take advantage of our amazing low C88 pricing! 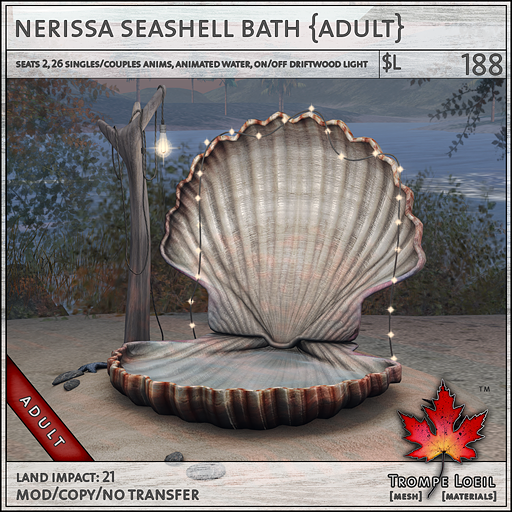 Finish the look with the Nerissa Seashell Bath – the same beautiful scallop shell and accents that holds animated caustic water and scripted with bathing animations in PG and Adult maturities. 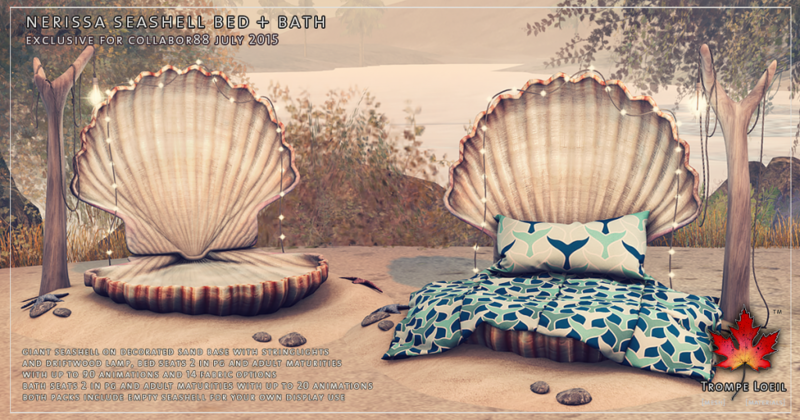 In your home or on the beach, this is a eye-catching design that you’ll look forward to using every summer!